Ha. Haha. Haahaha. Yeah. A police camera. Early today, the Chicago Police Department released data confirming two more armed robberies reported at the intersection of Belmont and Sheffield last Saturday morning. Raw information from the department's CLEARMap site shows one victim reported being robbed at gunpoint south of the intersection at 2:00AM last Saturday and another reported being robbed at knifepoint steps west of the intersection at 3:00AM. In the last 20 days, at least eight robberies have been reported in the immediate area of Belmont and Sheffield, which ranked as one of the most robbery-plagued areas in the entire city last year. 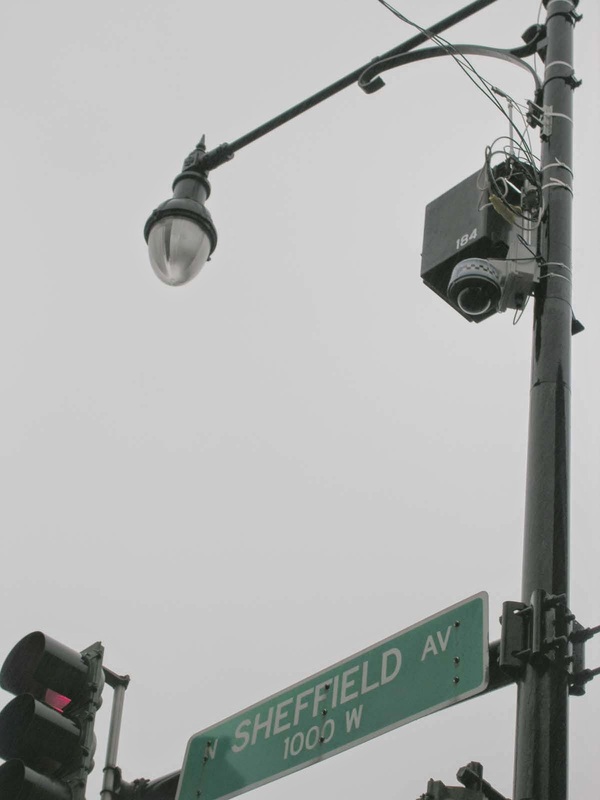 Not surprising to regular CWB readers is this: the intersection of Belmont and Sheffield sits beneath yet another impotent Chicago Police Department surveillance camera, within 50 yards of Alderman Tom Tunney's office door, and within 150 yards of the alderman's flagship restaurant.